ABB Grain presents Sloop SA. Sloop SA has been developed as a malting variety by the Malting Barley Quality Improvement Program and is a cereal eelworm (CCN) resistant “Sloop type” derived from Sloop and Chebec. With the exception of CCN resistance it is agronomically identical to Sloop with a very similar quality profile and grain yield. Sloop SA offers a malting alternative to the CCN resistant feed varieties, Barque, Chebec, Galleon and Keel. Sloop SA was bred by staff of the Adelaide University and SARDI in the South Australian Barley Improvement Program within the Malting Barley Quality Improvement Program. Sloop SA is moderately susceptible to powdery mildew and susceptible to leaf scald, leaf rust and net blotch (spot form) and is intolerant of boron toxic soils. At the time of release Sloop SA had completed year 3 of Stage 4 agronomic testing and Stage 1 Malting & Brewing Industry Barley Technical Committee (MBIBTC) testing. Sloop SA has a small yield and grain size advantage over Sloop but no significant improvement in resistance to foliar disease. Sloop SA has similar straw strength to Sloop but has a greater tendency for head loss and timely harvest and windrowing is recommended. 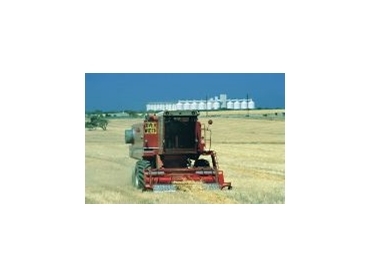 Sloop SA is a malting barley suitable for South Eastern Australia which will attract a $5 premium above the price of Schooner for malting grade deliveries to ABB in South Australia. Sloop SA has similar malt quality to Sloop and above Schooner being higher in diastase and fermentability, similar in extract and lower in malt and wort beta glucan. The malting profile is similar in almost all aspects to Sloop except in extract. From malts up to and including the 1999 season, the average extract of Sloop SA is approximately 0.3% lower than Sloop but when adjusted for protein, it is equal to Sloop.